A national water crisis is looming in the distance for the United States. In fact, the U.S. Office of the Director of National Intelligence now ranks it as big threat to national security. While the crisis is still slowly creeping in, it’s always wise to be vigilant when it comes to water usage. This is especially true for business owners who need lots of clean water to keep their premises clean, keep employees and customers safe, and maintain a hospitable space inside their commercial establishment day in and day out. No matter which business you own- a restaurant, a grocery, a gym, or even a medical facility- you know just how vital clean floors are, both for your reputation and bottom line. A customer slipping or falling on wet and dirty floors spell big insurance problems, not to mention the loss of potential business in the future. To prevent this and still maintain immaculate floors, businesses should turn to floor scrubbers for sale as a smarter alternative to traditional mopping. Since your custodial team is in charge of all floor cleaning tasks, you might not be aware of just how much you pay for water in your utility bills. For instance, a restaurant typically consumes around 6, 000 gallons of water per day. If you own an auto garage, you might use even more to ensure that your floors stay grease-free. Similarly, gym facilities, malls, and other establishments need a lot of water to clean off dirt, grime, and debris left behind by foot traffic. Apart from your consumption of water, business often have to employ a whole custodian team just to mop down a huge floor area. All of these can be challenging for your operating expenses. The best way to simplify floor cleaning while staying friendly to your budget in the long run is to invest in a floor scrubber. Instead of a whole team, one person can operate a floor scrubber and cover a much larger area in much less time, helping you save manpower and labor hours. 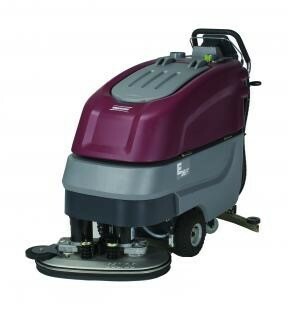 In addition, there are floor cleaning machines designed specifically to conserve water yet providing a consistently high-quality clean. For instance, there are floor scrubbers that utilize a 122-gallon tank. It is able to cover a floor area typically worked by a 24-gallon tank, which mean a whopping 50% water savings while getting the same service. Clearly, floor scrubbers are the way to go for businesses that want to conserve water without sacrificing clean floors, all while taking care of their bottom line.